To say Robert Follis is good at what he does is an understatement. 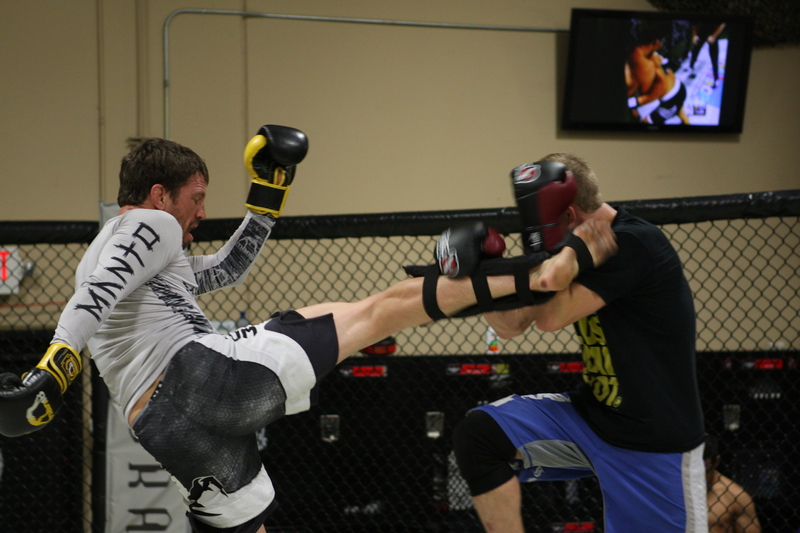 Not only is he one of the lead trainers at Xtreme Couture, he’s also one of the best. 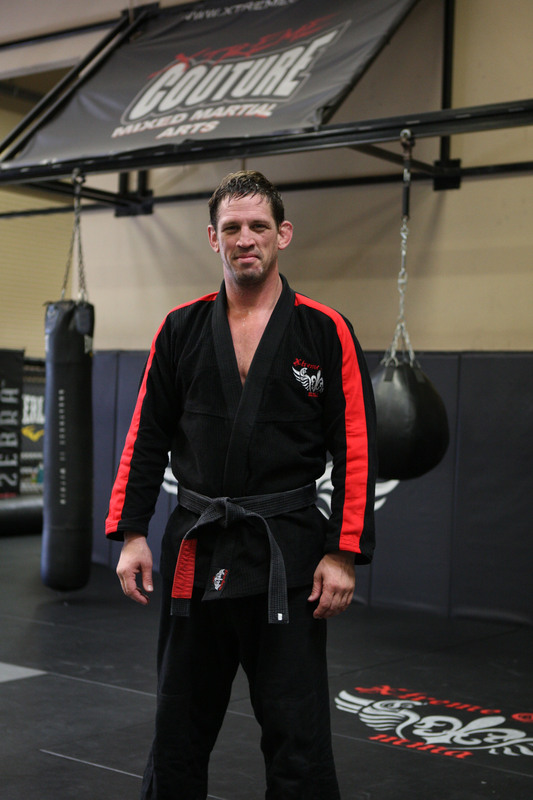 A Brazilian Jiu-Jitsu black belt, Follis heads one of the more intense, yet highly skillful Gi and No-Gi jiu-jitsu classes in all of Mixed Martial Arts. Training the likes of current Ultimate Fighting Championship stars such as Evan Dunham, Martin Kampmann and Chael Sonnen, along with legends like Dan Henderson and Randy Couture, Follis has risen in MMA lure as one of the greatest technique coaches of all-time. Those training days turned into training nights, and soon a friendship blossomed between Couture and Follis. Eventually, a career was formed for Follis amidst all the training and sparring sessions, and he’s never looked back. His training with adolescents and young adults helps prepare them for where the sport may be heading in the future, no matter how adverse or challenging it may seem. His love for the sport intertwines with his affection for changing people’s lives with what he teaches at the gym. The self-promoting change has been personal for Follis as he says it was Martial Arts that led him out of a place in his twenties where he lacked any direction and felt unsure of what he wanted in life. Dunham (12-2 MMA, 5-2 UFC) has enjoyed a healthy distraction headed into his bout against Nik Lentz (21-4 MMA, 5-1-1 UFC) Saturday at the United Center in Chicago on the preliminary card of UFC on FOX 2. Dunham, 30, and his wife are expecting their first child. Ava Marie Dunham’s due date is only a couple weeks away, which will fulfill a longtime desire of Evan’s to become a father. “Instead of obsessing over a bunch of training stuff, I relaxed a lot and went to doctor visits,” Dunham said. “I got to see how she was coming along. It’s, more than anything, been a nice break on the mind.” Dunham’s increase in responsibilities doesn’t mean he’ll take it easy in 2012. As anyone who trains alongside him will attest, it’s a lost cause to try to keep Dunham out of the gym. Ideally, Dunham would like to fight four times this year. That would be the most of his career since 2007 when he was making the rounds on the regional circuit in the Pacific Northwest. Slowing down doesn’t work in the 155-pound weight class. Lightweight is the UFC’s deepest division, but Dunham hopes to pounce on an unforeseen opening this year. At this time last year, as many as six fighters were bunched toward the top of the division awaiting a title shot. Dunham had lost two in a row and was nowhere in their proximity. But then, one by one, all the contenders improbably began falling victim to upsets and losing their spots in the championship queue. Dunham, meanwhile, obliterated Shamar Bailey with a unanimous decision at UFC Fight Night 25 to break his skid. Dunham barely talks about his two losses. He says he’s all but forgotten about the highly questionable split decision that judges awarded to Sean Sherk over him at UFC 119 and the first-round knockout loss to Melvin Guillard at UFC Fight Night 23. Dunham, because he’s a southpaw, helped Pyle prepare for his bout against Ricardo Funch at UFC 142 earlier this month. Pyle, who defeated Funch with a first round TKO, said using Dunham as a primary training partner was invaluable. “Man, he’s looking sharp,” Pyle said. “I’m really looking forward for him to take Lentz to school and box his face up a bit.” That’s precisely Dunham’s plan. Making it easy would be nice, because he’s got to get back to Las Vegas in time to deliver a baby. Xtreme Couture’s Evan Dunham is ready for UFC Fight Night 25 on September 17 against Shamar Bailey, with the two squaring off on the Facebook prelim card. ’3-D’ enters the bout on a two fight losing skid, after going 11-0 with losses to Melvin Guillard and Sean Sherk. ’3-D’ spoke to UFC.com about his upcoming fight, as well as his thoughts on the status of the UFC’s lightweight division. 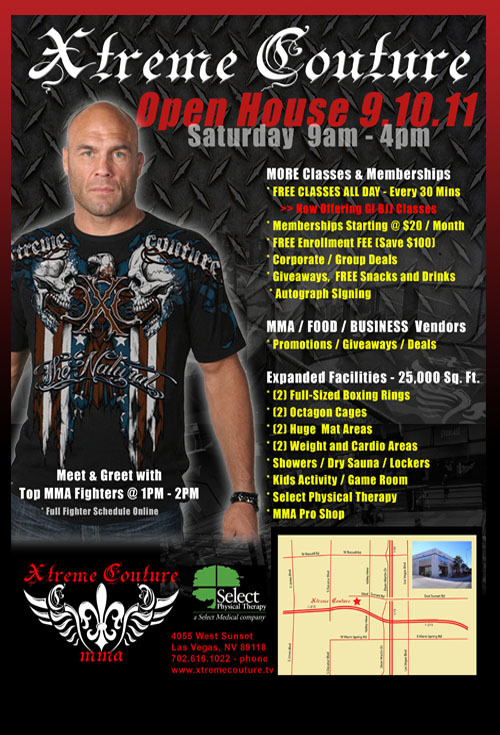 Xtreme Couture MMA home of some of the best MMA fighters like Randy Couture, Vitor Belfort, Gray Maynard, Jay Hieron, Evan Dunham, Tyson Griffin, Mike Pyle and Forrest Griffin just to name a few, who all call Xtreme Couture their home would like to invite you to our Open House. We’ll have Free snacks, drinks and will offer four – 30 minute classes every hour so you’ll have plenty to try out. Xtreme Couture offers classes for kids (ages 6 and up), teen classes, women and mens of all technical levels and disciplines. Did we mention it is all for FREE plus if you sign-up that day we will waive the $100 enrollment fee! With memberships starting at just $20 a month you have to come down to see it for your self. If that wasn’t enough for you we have a special meet and greet with top UFC, Strikeforce, Bellator and other high level MMA fighters from 1pm – 2pm. The UFC announced today that Tyson Griffin will make his featherweight debut against former top contender Manvel “Manny” Gamburyan at UFC on Versus 4. “Highly-ranked Manvel Gamburyan and the always-exciting Tyson Griffin have verbally agreed to face one another June 26,” said UFC President Dana White. Formerly a UFC lightweight competitor, Gamburyan dropped to the featherweight division in the summer of 2009 and rattled off three wins in that division (including a stunning knockout over former champ Mike Brown) to earn a title shot against current 145lbs. kingpin Jose Aldo. The Brazilian phenom made short work of Gamburyan, knocking him out early in the second round at WEC 51. Gamburyan has not appeared in the cage since that fight, which went down in September of last year. 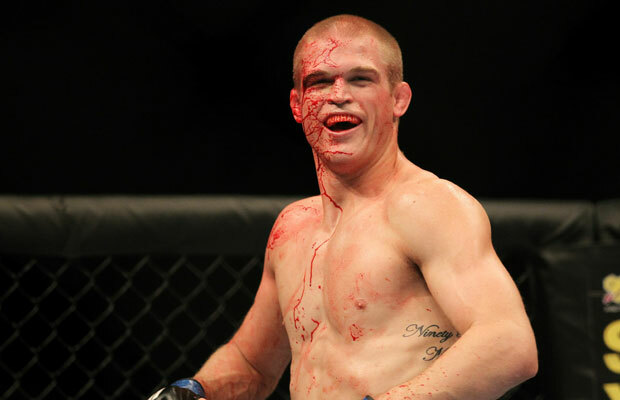 Griffin is currently on a three-fight losing skid (though his latest defeat, a split decision to Nik Lentz, was found to be controversial by many), having posted defeats to Evan Dunham (split decision), Takanori Gomi (knockout) and Nik Lentz (split decision). This will be his first fight at 145 lbs. UFC Live on Versus 4 will take place on June 26, 2011. A location for the event has not yet been announced. Instructors from Xtreme Couture teamed up at the North American Grapplng Association (NAGA) in Las Vegas on March 4th to demonstrate grappling techniques to the crowd. NAGA holds events all over the United States and is one of the largest grappling tournaments in the world. Pictured below are (far left)-John Hahn, Jimmy Jones, Kui Gonsalves, Dennis Davis and students. Pictured (far right)-Kui Gonsalves, Dennis Davis, John Hahn and Jimmy Jones with student participant. With only 3 weeks away the Xtreme Couture 3 Day training camp run by MMA Legend Randy “the Natural” Couture is down to just 12 spots left. As Randy prepares for his fight against Lyoto Machida at UFC 129 you get a chance to train with Randy while he is in his training camp! Randy will explain to you his conditioning routine with our Fitness Coach Jake Bonacci and how Randy developed his own supplement line called XCAP (www.xcap.tv) which is used by top atheletes. As if the 3 days of training with Randy and Xtreme Couture trainers Neil Melanson and Gil Martinez wasn’t enough to keep you busy, we have added a 10 fight kickboxing exhibition event at the gym Saturday night! You’ll get to see in person some of the next great up and coming MMA fighters while sitting next to MMA greats like Randy Couture, Ryan Couture, Gray Maynard, Mike Pyle, Tyson Griffin, Forrest Griffin, Evan Dunham and MANY MORE! !